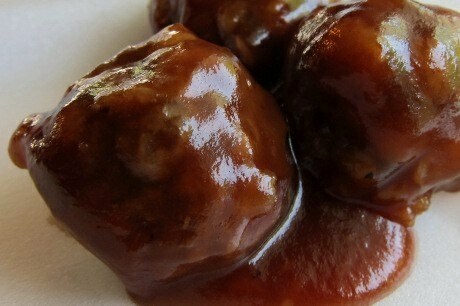 My sister-in-law just shared this amazing GF BBQ meatball recipe! Mix meatball ingredients together in a large bowl. Roll into 1″ balls. Bake on parchment lined cookie sheet at 350 for 20-30 minutes. Combine BBQ sauce ingredients and add the meatballs.